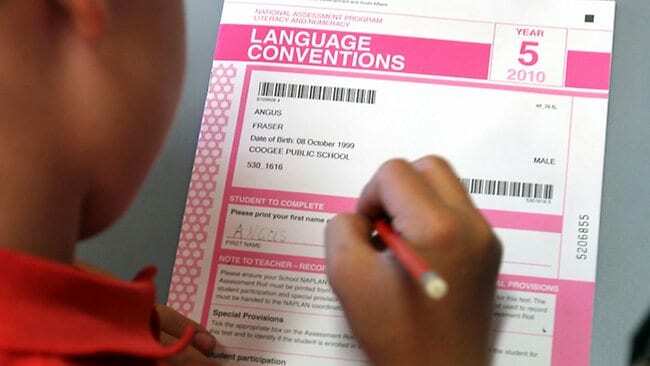 The release of the 2018 NAPLAN results should be the death knell of the national testing regime. Teachers, psychologists, principals, academics, unionists and even Liberal Party politicians have condemned the test as a curriculum-distorting educational disaster. But to further discredit the regime, in August the testing authority ACARA admitted it was applying an unpublished scaling system to online test results. This was designed to blend the results of two different tests (NAPLAN Online, which 20 per cent of the students sat, and the paper based tests which everyone else sat) together in its national report. But it’s all of NAPLAN that needs to go, not just online NAPLAN. Of course students who sat two different tests shouldn’t be compared to each other. But it’s even more unfair to compare the results of students in the most over-funded schools in the country, like Knox Grammar in NSW, to students in funding starved schools in poorer areas, and pretend as though the difference in results is the fault of the schools and teachers, not systemic inequality. The Gillard Labor government designed NAPLAN for exactly this victim-blaming purpose. ACARA publishes the results and the socio-economic mix of students at every school in the country on the MySchool website so that parents can compare, and avoid enrolling their children in the schools getting the worst results. Over the last ten years, this has increased inequality between schools, as parents rush to enrol in “magnets” and avoid “sinks”. It has been the smokescreen behind which governments shovel ever-greater proportions of public funding into private schools. NAPLAN is totally discredited, but Labor and Liberal governments will not dismantle it until they have another testing tool to replace it with. Now is the time for education unionists to prepare a ban on the test in 2019. If our union leaders will not call for a total ban, we need to find school sub-branches, and groups of schools and teachers who will lead the action in refusing to participate in any NAPLAN test preparation and delivery in 2019.